Nine workers died so far in 2014 while working on the construction or the maintenance and repair of communication towers. Last year there were 13 fatalities, double the two previous years together according to OSHA’s most recent statistics. In order to better protect tower climbers, OSHA recently updated its Communication Tower Directive regarding the use use of hoist systems used to move workers to and from workstations on communication towers. (see OSHA press release). Tower climbing is one one of the most dangerous job in the US. A Daily Kos article from 2012 estimated that the death rate for tower climbers was about 10 times that of construction workers. 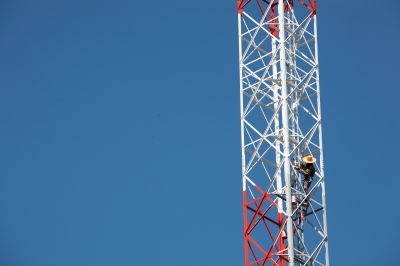 Tower climbers are hired through hundreds of subcontractors and are employed mostly by communication wireless carriers to build, maintain and repair communication towers. An investigation by ProPublica and PBS Frontline shows that by outsourcing the jobs to subcontractors cell phone carriers’ have kept their connection to tower climbing invisible.